But this time I was dubious. Glow in the dark bubbles sounded great, but the Buzzfeed hipsters made them using highlighters–which don’t glow in the dark. This wasn’t going to work without a black light. LobeStir to the rescue! 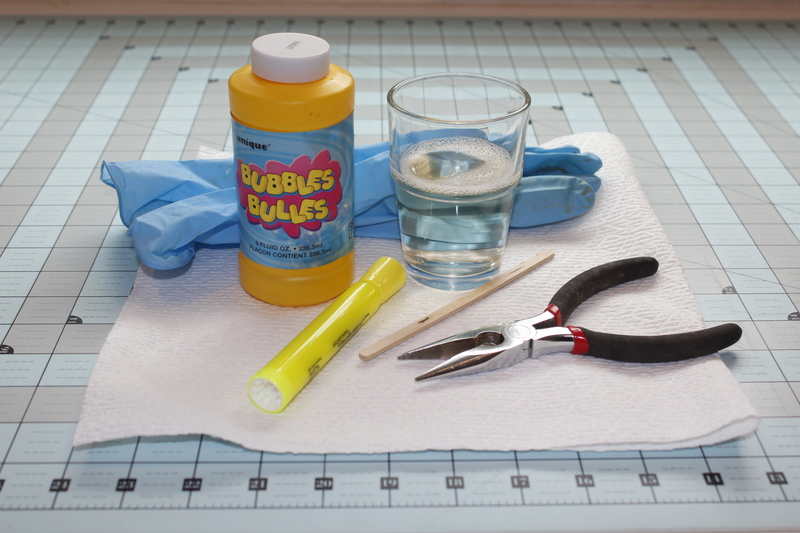 Bubble solution, pliers, paper towels, gloves, and a highlighter. I had a stir stick there, too, but I didn’t need it. 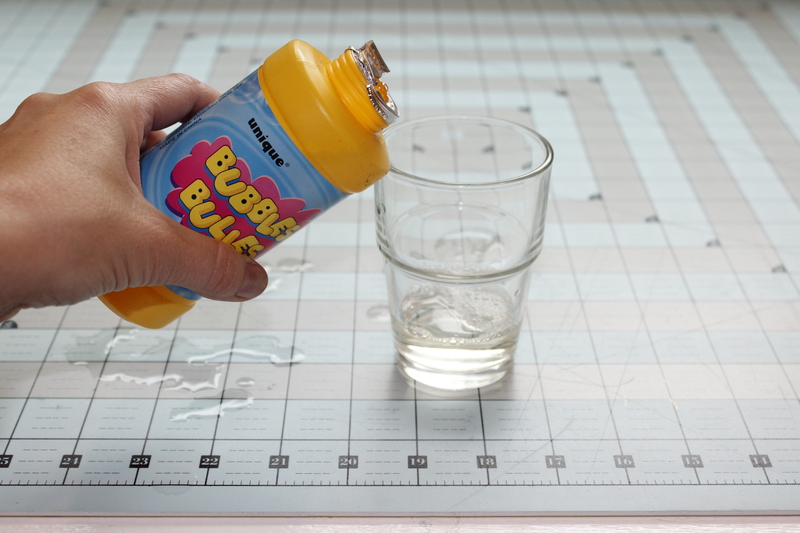 Pour some of the bubble solution into a glass. 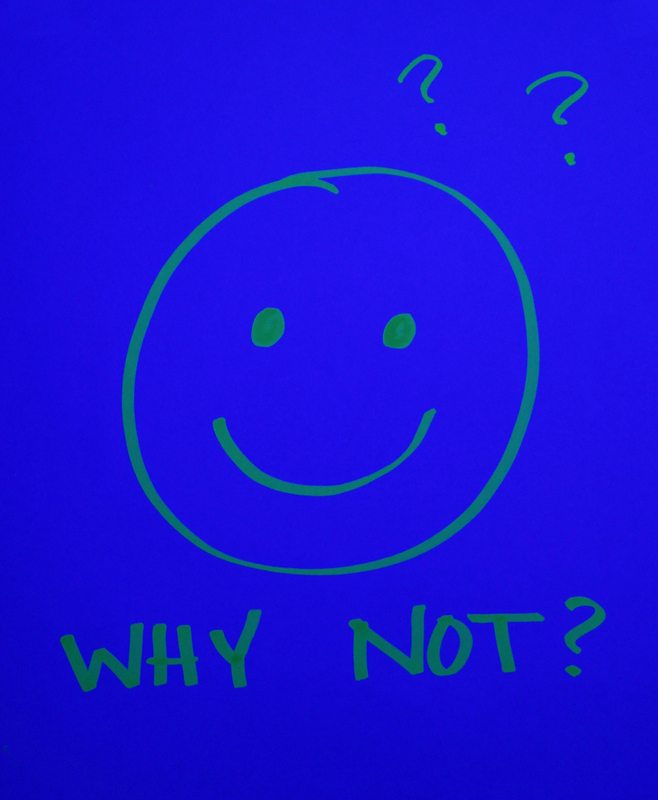 Or don’t. I just did this so you could see what was going on. 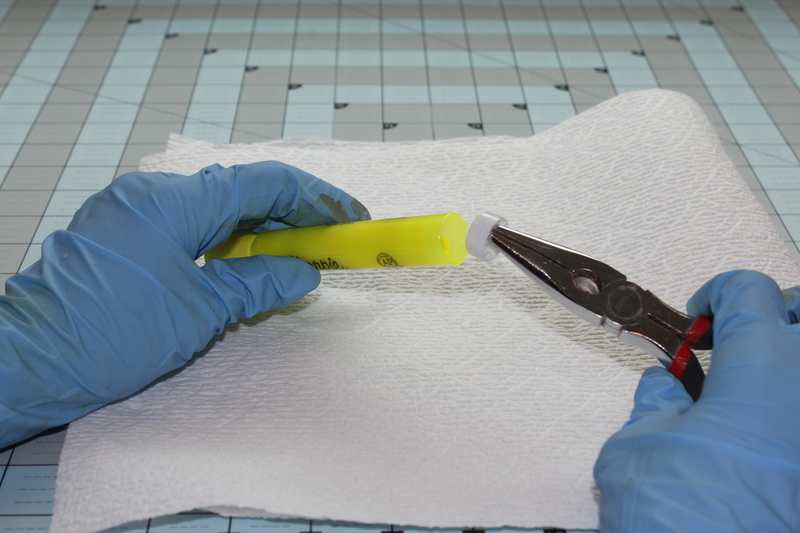 Pull the end cap out of the highlighter and extract the ink cartridge. Use gloves! This is messy. Squeeze the cartridge into the bubble solution. Very, very messy. Don’t do this while wearing white pants and standing over your new white carpet. No. Find a place to blow bubbles that you can hose down. And wear old clothes. If you’re outside, be mindful of the wind unless you hate your neighbors. 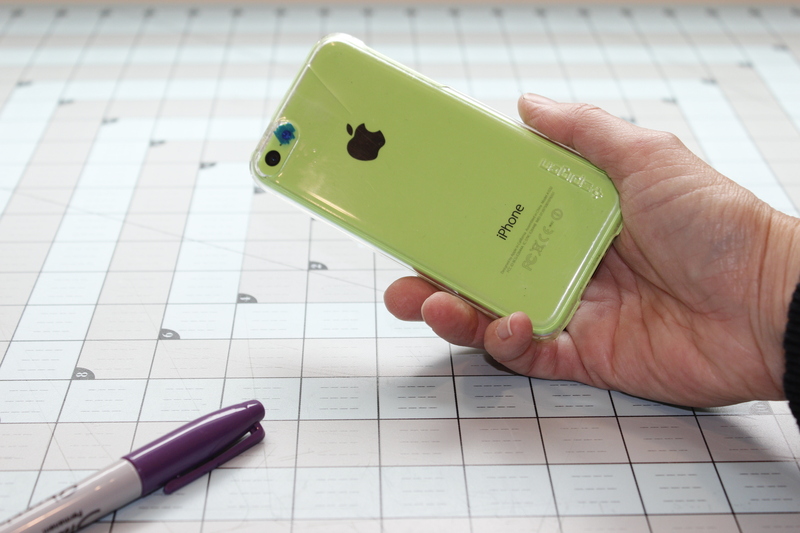 A smartphone with a flash, clear tape, a blue Sharpie and a purple Sharpie. Put a piece of tape over the flash/flashlight. It’s hard to see the tape because it’s *magically invisible. * I swear it’s there. 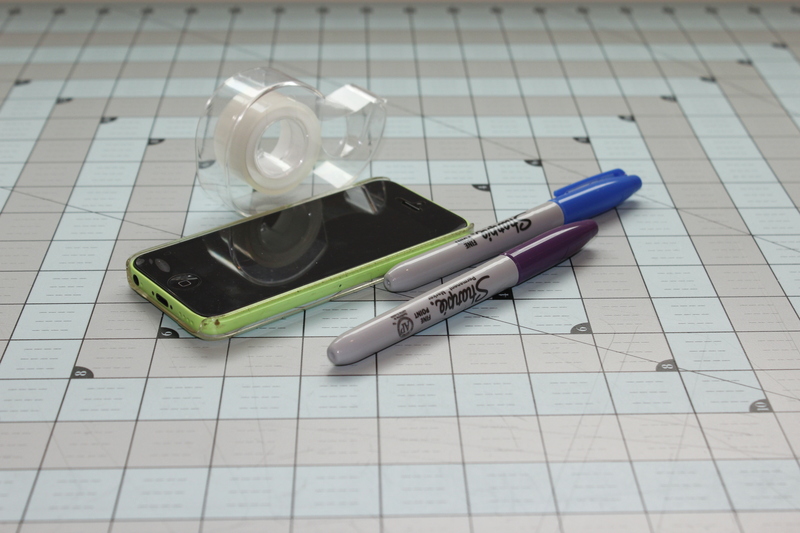 Color the tape with a blue Sharpie. Purple Sharpie depicted here is not meant to deliberately mislead you. 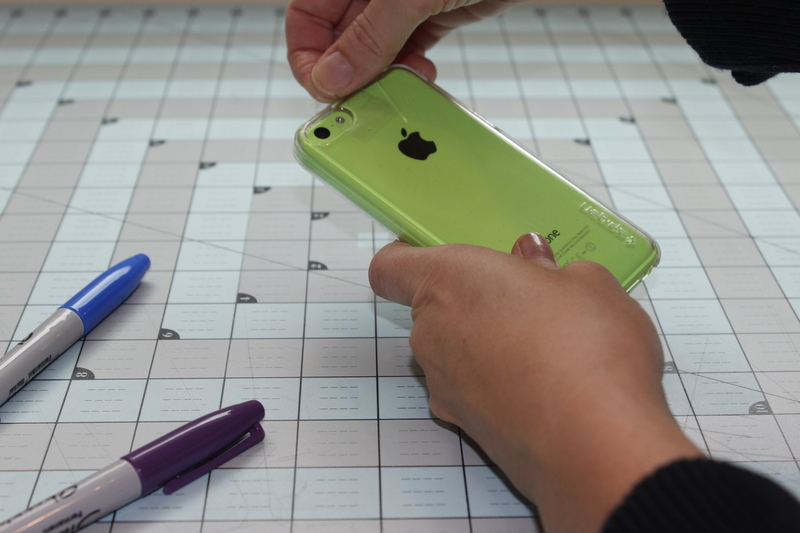 Purple Sharpie is just lying there, waiting for step 4. This photo shows what my phone looked like after using the blue Sharpie. Add a second layer of tape, and color it blue. Not showing this step because you are a genius. You will figure it out. Put a third piece of tape over the light and color it purple. Flashlight on after all three layers were added and colored. 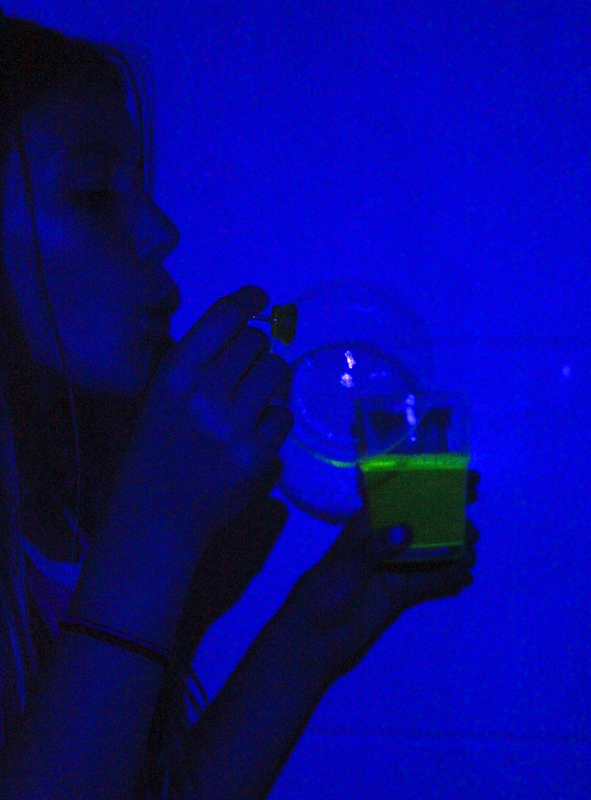 In some ways, the container of glowing goo is the best part…though watching the fluorescein swirl like a mini tornado in the bottom of a big bubble is amazing. A black light is one that emits UV-A light and not much visible light. Many are created by making a violet filter (often called a Wood’s filter) that blocks most of the visible light and allows UV to pass through it. 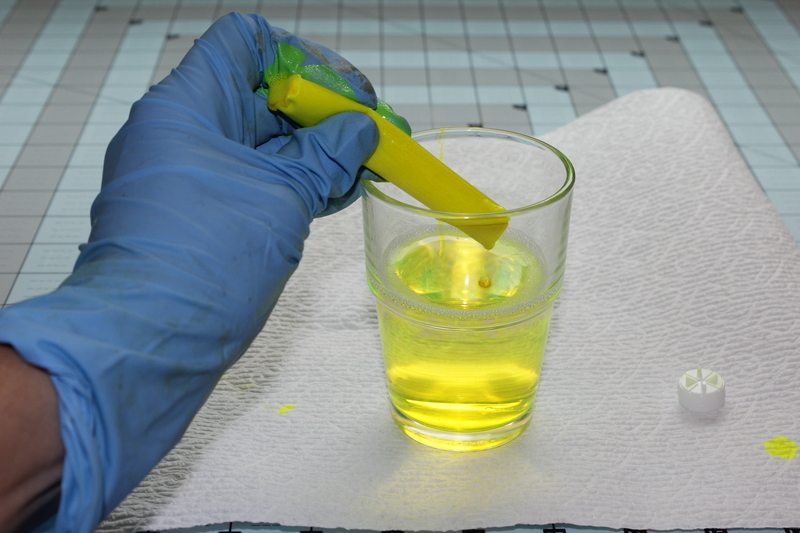 Most yellow highlighter ink contains fluorescein, which fluoresces (glows) when exposed to black light (aka, UV-A light). Fluorescein is used to search for broken blood vessels, examine tear ducts, check for leaks in the car, and to help locate people in air-sea rescue. 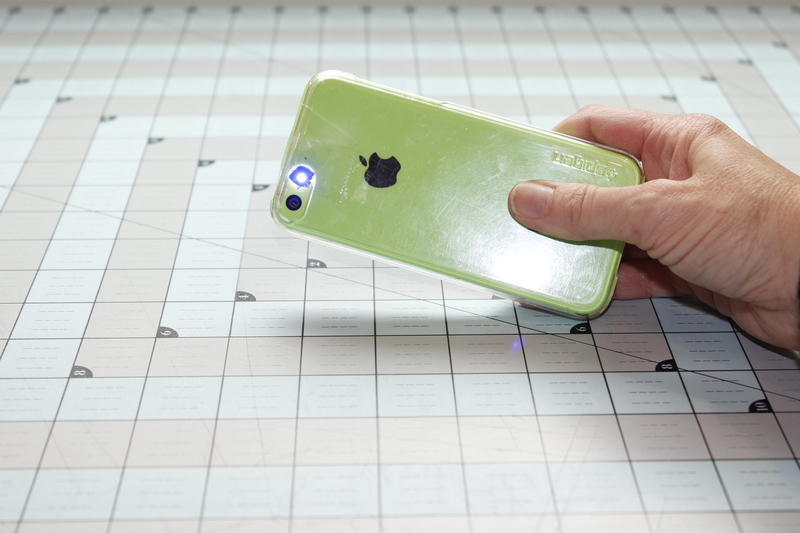 If bubbles aren’t your thing, a lot of other things fluoresce with a black light–though our smart phone light does not emit a wide enough spectrum of wave lengths to do this well. 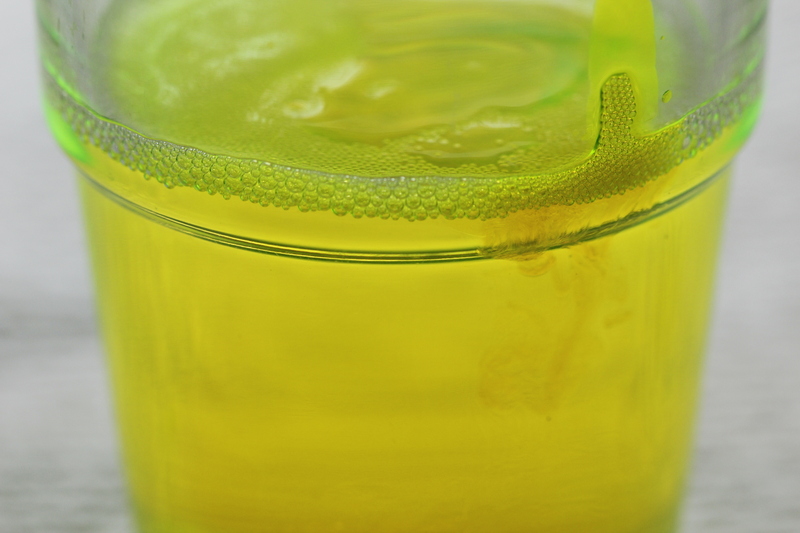 You might have to buy a black light bulb to get the following substances to fluoresce, but it’s still cool: tonic water, antifreeze, and some cleaning products (I’ve heard Mr. Clean glows nicely). 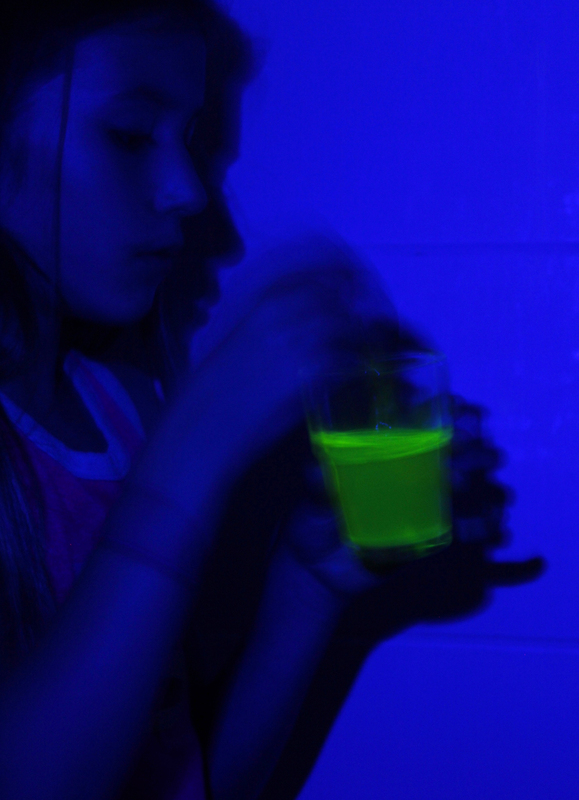 Many bodily fluids fluoresce a little, too, which is why police investigators occasionally use a black light when examining a crime scene. 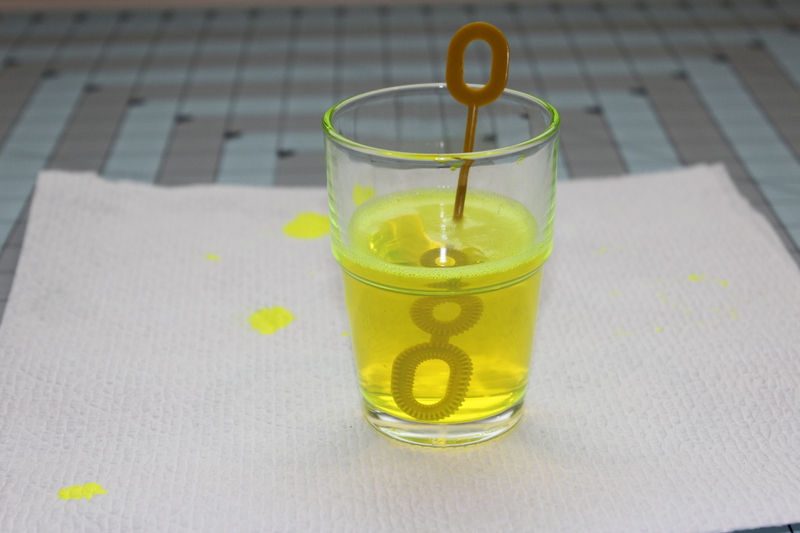 You can squeeze the highlighter cartridge into a glass of water and put flowers in it. After a day or two, the flowers will glow with the black light!